The mounting plate is made of durable steel with some extra depth to it, so the stand will be able to support even some of those massive V12 engines. The length of the mounting arms has also been thought out as the manufacturers have made those arms compatible with the absolute majority of modern-day engines. The initial setup may seem difficult for the first time. Though the differences aren't that major, we'd still call Torin T26801 is the best engine stand on the market right now. 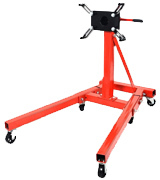 The model is particularly sturdy and everything you could ask out of a stand is there, making it suitable for professional mechanics as well as car enthusiasts. 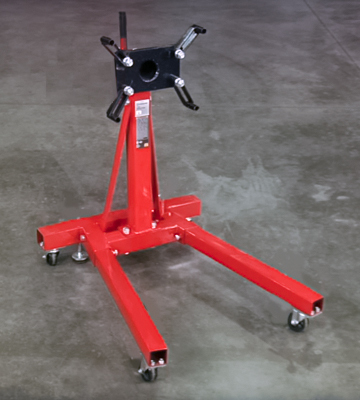 The stand is capable of supporting up to 2000 pounds of weight, making it suitable for any kind of engine, from a small sedan one to a massive truck engine. Plus, this tool comes equipped with a reinforced steel neck. A neck like that provides the necessary strength and eliminates flexing when supporting those engine blocks that weigh up to 2000 pounds. The grip doesn't adjoin that well to the rotational handle. If your work matches you with those massive V8 and V12 engines on a semi-consistent basis, you should definitely consider giving Goplus 11AA a shot. 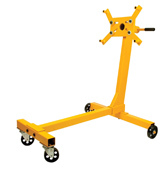 Its ridiculous weight capacity makes it easily the best engine stand for individuals who deal with truck engines. A particularly long rotational handle will allow you to easily spin the engine 360 degrees without putting in too much of an effort. And the side doesn't matter either, so it is an equally convenient stand for lefties and right-handed individuals. The paint wears off after some time. We couldn't find much of a fault with the JEGS 80041. The price itself makes this rotating engine stand a particularly attractive product. And despite the modest price, the stand is as practical as they come, with its small size making it a perfect tool for smaller workshops. Everything that you require to install the stand comes with the package. 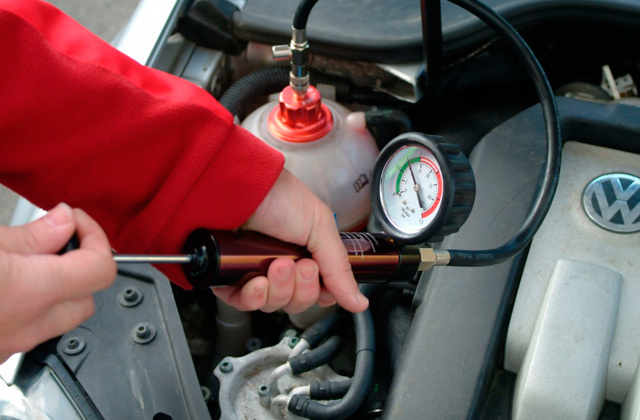 You won't need any additional specialized instruments aside from a simple wrench. And if you stumble on your way, a comprehensible instruction manual will help you figure things out. The casters produce annoying squeaking sounds when you move the stand. 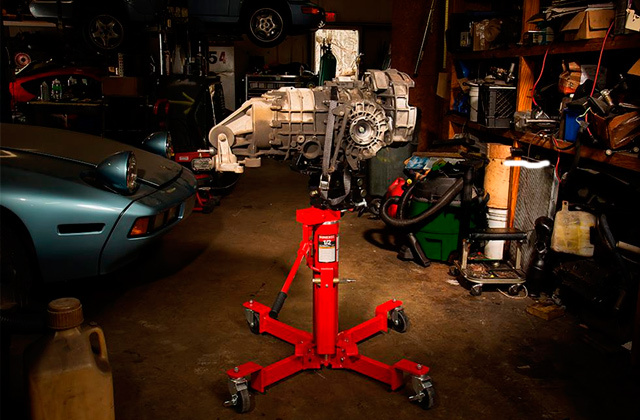 The engine stand from Best Choice Products will prove to be the best choice for people who do not have a whole lot of experience with engines and their maintenance and repair tools under their belt. That said, it should satisfy some of the more experienced customers just as well. With 8.5 x 7.8 x 35 inches in overall dimensions, the model might very well be the most compact option out there. 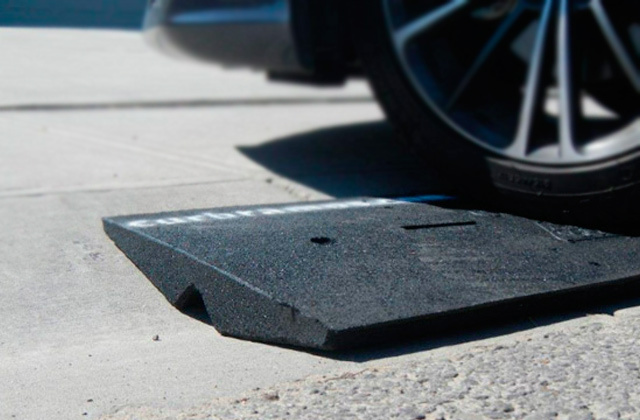 The plate locks in 6 different positions, adding a layer of convenience and security whether you work with domestic or foreign engine blocks. The locking lever that comes with it is also about as secure as they come. The quality of the screws leaves a bit to be desired. If you're the kind of person who knows the ins and outs of engines and you tend to work with all kinds of different engine blocks, the Performance Tool W41025 will probably be right up your alley. Aside from being reliable and convenient, this tool is easy to disassemble, so storing it won't be an issue. There isn't that much that differentiates one of these stands from the other but it is the little things that make the Torin T26801 quite a bit better than most other options on the market. First, any car maintenance and repair tool has to be durable, and that is exactly how we would describe this model. The mounting plate is made of durable steel with some extra depth to it, so the stand will be able to support even some of those massive V12 engines. The length of the mounting arms has also been thought out as the manufacturers have made those arms compatible with the absolute majority of modern-day engines. 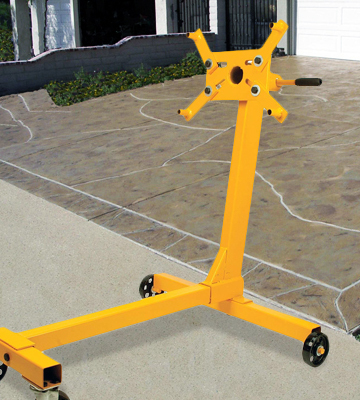 All in all, it is the model's reliable and durable design that prevents it from tipping while holding the block, making the stand as safe as they come. But the sturdy construction is not the only impressive part about this product's design since it is also foldable, so you won't have too hard of a time storing the whole thing away. Other than that, there really isn't that much to say here. As per usual, the aforementioned mounting plate is 360-degree rotatable and the arms are adjustable. Naturally, the swiveling casters are also there. Again, there isn't that much of a difference between these stands, but if we had to choose one, it would probably be the Torin T26801 that is the best engine stand on the market right now. 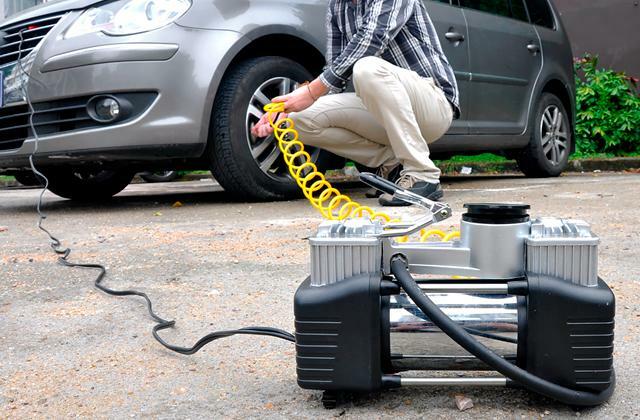 The model is particularly sturdy and everything you could ask out of a stand is there, making it suitable for professional mechanics as well as car enthusiasts. 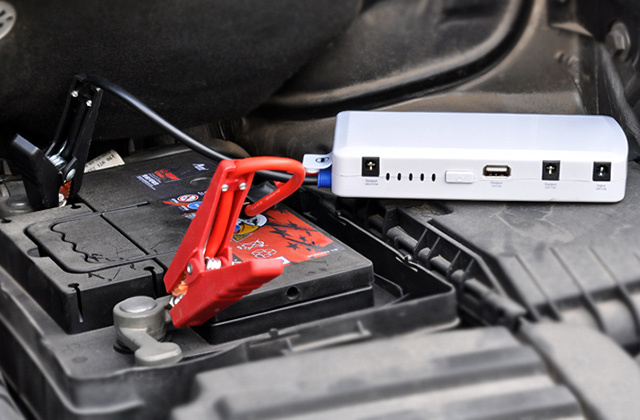 Whether you're a professional mechanic who deals with all kinds of engines or just a guy with some serious passion for cars, you cannot go wrong with the Goplus 11AA. Though it might not seem that different, this isn't your everyday stand. Unlike the majority of its competitors, the model from Goplus is capable of withstanding and supporting up to 2000 pounds of weight, making it suitable for any kind of engine, from a small sedan one to a massive truck engine. And on top of simply supporting that weight, this tool comes equipped with a reinforced steel neck. A neck like that provides the necessary strength and eliminates flexing when supporting those engine blocks that weigh up to 2000 pounds. 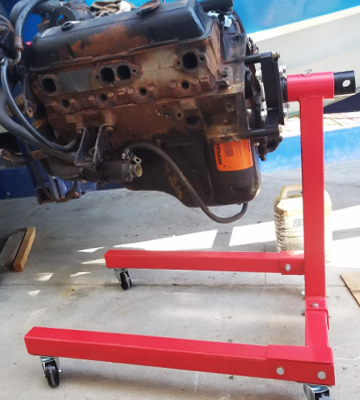 You want a heavy-duty engine stand like that to be durable and durable is exactly the word we would use to describe this product. The red and black finish that the stand sports aren't just a design choice. They make this model resistant to rust and corrosion, making sure that it will serve you for a long time. In order to support all of that weight that we just talked about, the stand in question comes equipped with not 4 but 6 ball bearing steel casters. They ensure excellent maneuverability and, surprisingly enough, they do not produce a whole lot of noise. Finally, the foldable design of this product makes it easy to store the stand and to transport it. So, what else is there to say? If your work matches you with those massive V8 and V12 engines on a semi-consistent basis, you should definitely consider giving the Goplus 11AA a shot. 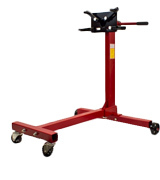 Its ridiculous weight capacity makes it easily the best engine stand for people who deal with truck engines. 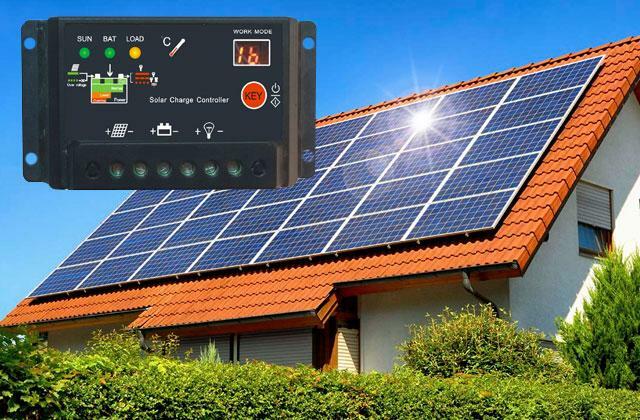 The JEGS 80041 is one of the most affordable options on the market right now. But that's not the only thing that makes this stand attractive to so many customers. 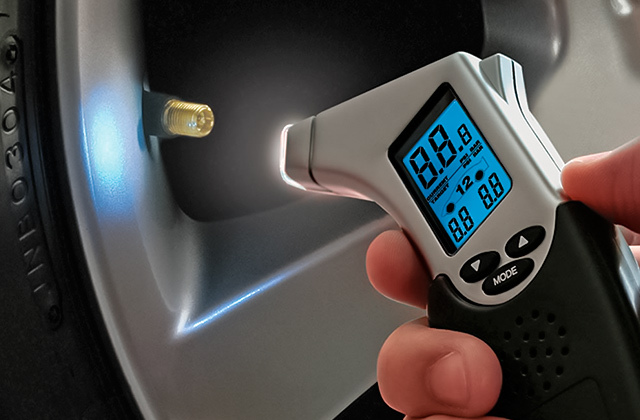 First, the overall product adds up to just 37.2 x 14 x 7.7 inches in overall dimensions, making it a suitable choice for the smaller automobile repair shops that do not have that much space to spare. But though the entire thing is relatively compact, the manufacturers have incorporated a particularly long rotational handle. Using this handle, you will be able to easily spin the engine 360 degrees without putting in too much of an effort. And the side doesn't matter either, so it is an equally convenient stand for lefties and right-handed individuals. And, again, despite the smaller frame, the model is capable of supporting up to 1250 pounds of weight, which is quite impressive, generally speaking. Of course, it isn't without its flaws. For example, some customers complain that the paint wears off relatively quickly. But it isn't that much of an issue all things considered. 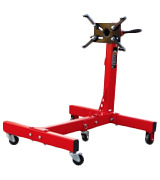 Just like most of these stands, the model features a set of 4 swiveling casters, so you'll be able to freely move the engine around the workshop. In conclusion, we couldn't find much of a fault with the JEGS 80041. The price itself makes this rotating engine stand a particularly attractive choice. And despite the modest price, the stand is as practical as they come, with its small size making it a perfect tool for smaller workshops. To some people, cars and all of their parts come naturally. But most of us find these vehicles complicated and rightfully so. Heck, even the tools that are supposed to help us with those cars can be difficult to figure out. That said, the model from the modestly named company Best Choice Products is anything but complicated. The whole thing is really easy to set up. Everything that you need to install the stand comes with the package. 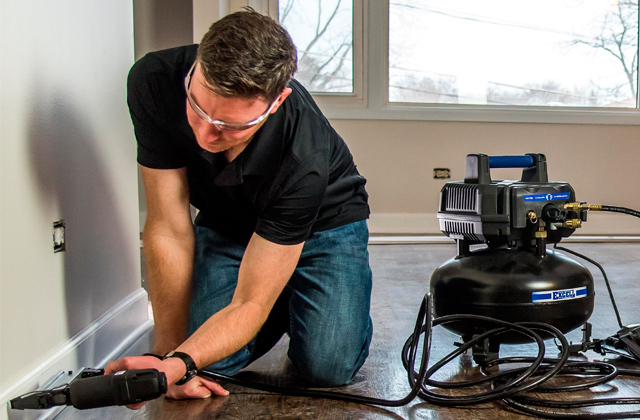 You won't need any additional specialized instruments aside from a simple wrench. And if you shall stumble on your way, a comprehensible instruction manual will help you figure things out. Aside from the installation process, what we have here is more or less your typical engine stand. It is capable of supporting up to 1000 pounds of weight, so it is a perfectly suitable choice for storing or working on smaller blocks like V4 and V6. With 30 inches in length, about 28 in width, and 34 in height (including the handle), the model does not require too much space. 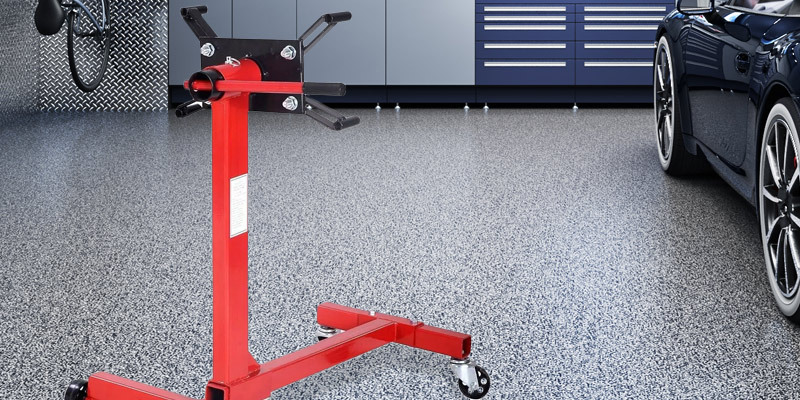 Just like the majority of these stands, it comes equipped with swiveling casters that offer easy mobility in the workshop. 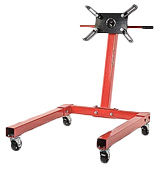 Though some people report that the casters tend to make that unpleasant squeaking noise when you rotate the stand on certain surfaces, so you will have to deal with that. 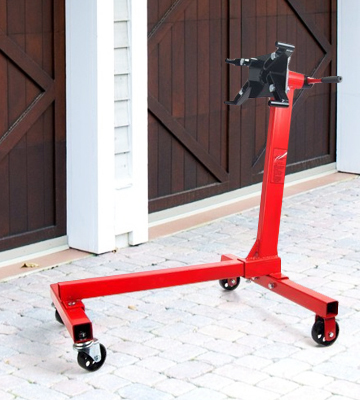 All things considered, the engine stand from Best Choice Products will, oddly enough, prove to be the best choice for people who do not have a whole lot of experience with engines and their maintenance and repair tools under their belt. That said, it should satisfy some of the more experienced customers just as well. The first thing that you'll notice about the Performance Tool W41025 is definitely its size. With 8.5 x 7.8 x 35 inches in overall dimensions, the model might very well be the most compact prospect out there. Though we'd say that the weight is even more surprising than the size. 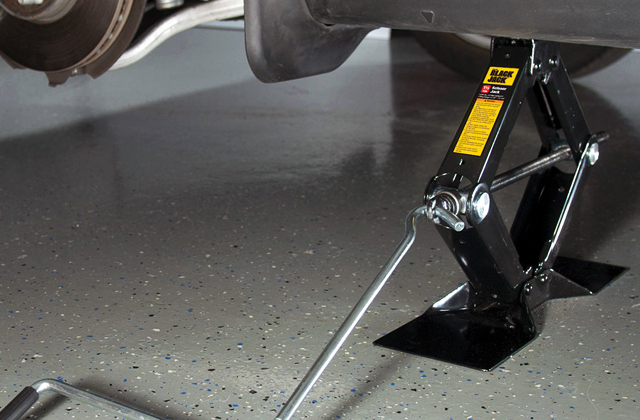 Adding up to just 30 pounds, this is certainly the most lightweight stand that we've found. As you'd imagine, both the size and the weight make the model quite a bit more portable than the rest of these stands. But despite the modest size and weight, this product is a lot more durable than one might think. The rugged heavy gauge tubular steel construction makes the whole thing just sturdy enough to support the weight of the engines and to withstand the wear and tear of time. 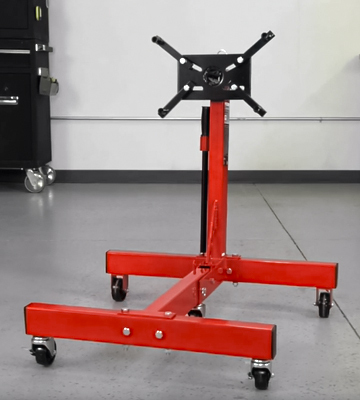 Not dissimilar to the majority of these things, the engine stand from Performance Tool comes equipped with a 360-degree rotatable plate that features 4 adjustable arms. 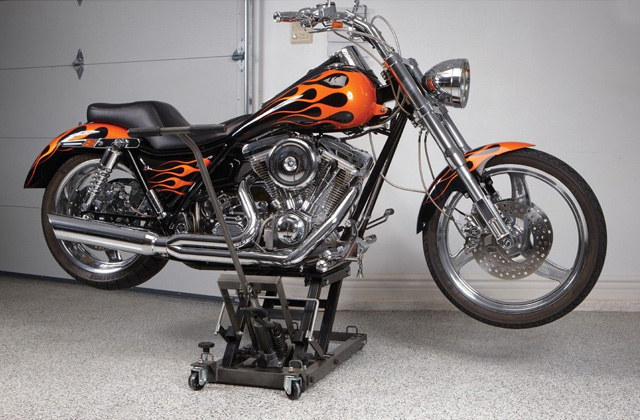 But unlike some of those stands, the plate locks in 6 different positions, adding a layer of convenience and security whether you work with domestic or foreign engine blocks. The locking lever that comes with it is also about as secure as they come. So, if you're the kind of person who knows the ins and outs of engines and you tend to work with all kinds of different engine blocks, the Performance Tool W41025 will probably be right up your alley. Aside from being reliable and convenient, this tool is easy to disassemble, so storing it won't be an issue. What Is an Engine Stand? 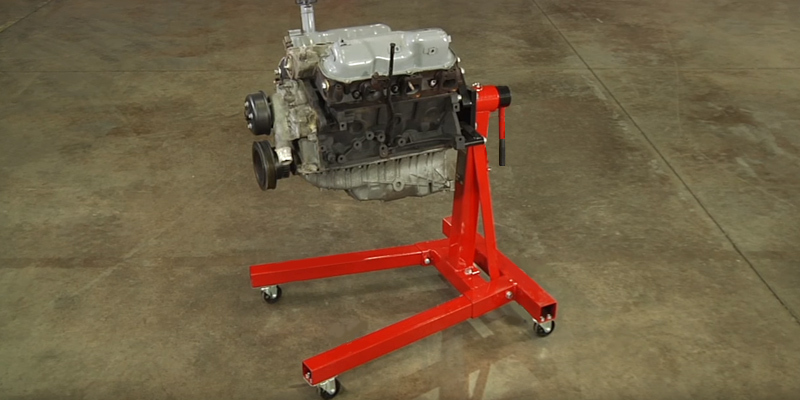 An engine stand is one of those tools that does not really require that much of an explanation since the name itself is pretty self-explanatory. 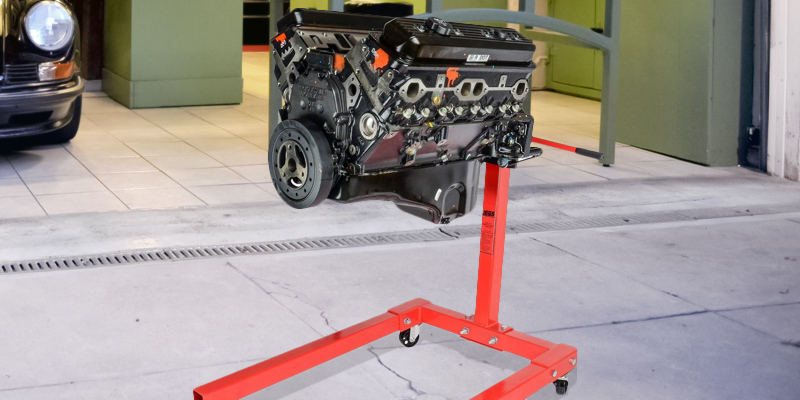 But, of course, just because you have the general idea of what the tool is used for doesn't mean that you know exactly what it is that constitutes a quality engine stand. First, an instrument like that is supposed to provide the mechanic with unrestricted access to any exposed surface of the engine. In order to do that, most people behind these stands equip their products with a 360-degree rotatable plate with 4 adjustable arms. This way, a stand will be able to hold the engine midair and ensure convenient and easy access to any part of the engine. Plus, some stands feature foldable construction, so storing those will obviously be much easier than storing the ones that do not have that foldable structure. 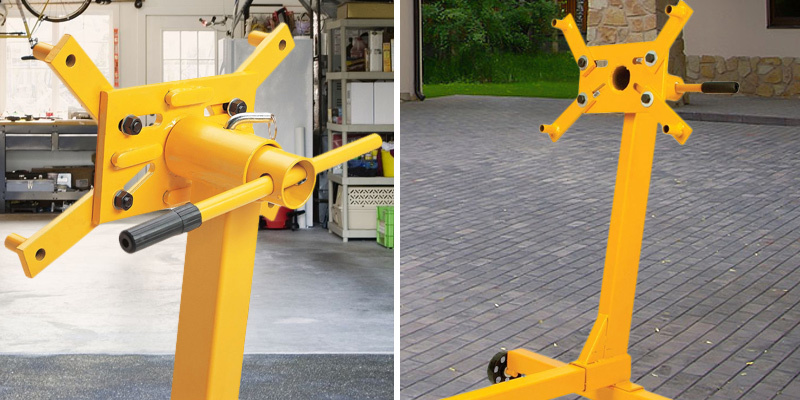 Other than that, the majority of engine stands come equipped with swiveling castors, so you won't be tied to a particular place and will be able to move the engine around your workshop or garage as you please. Just keep in mind the weight of the engine(s) that you normally deal with and the maximum load that the stand supports and you should be able to make the right choice. 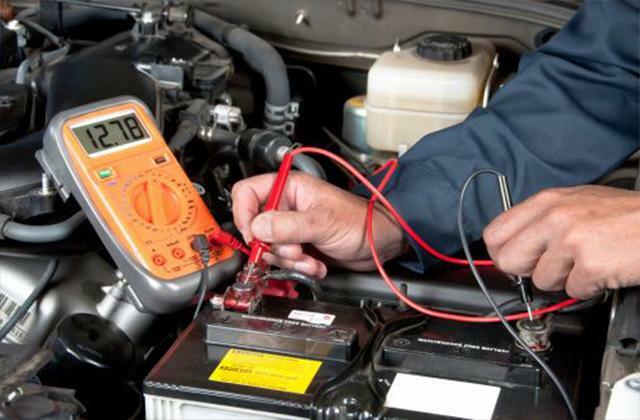 Of course, there are plenty of other tools that will help you repair and maintain your car. 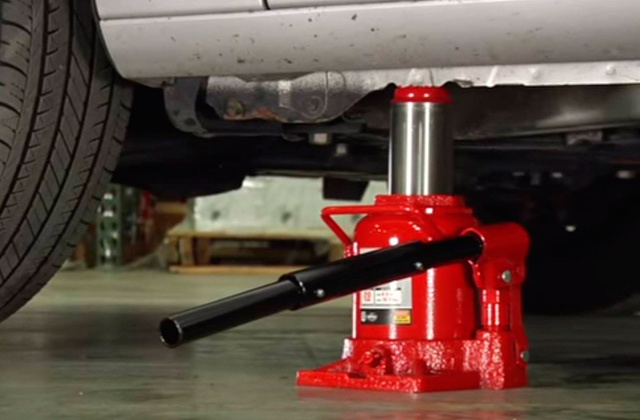 If you don't know where to start, we would recommend getting a car jack and a jack stand first as those are probably the most important things that any car enthusiast should have in their arsenal.